Gov. Kate Brown ordered all flags at state buildings to be flown at half-staff beginning Sunday until sunset Monday, Aug. 27. Gov. Kate Brown ordered all flags at state buildings to be flown at half-staff beginning Sunday until sunset Monday, Aug. 27, to honor Arizona U.S. Sen. John McCain, who died Saturday afternoon at his home in Sedona. In a Sunday afternoon press release, Brown praised McCain as an "American hero" who had "an unflinching commitment to our country." "Sen. McCain's maverick sensibility meant he faced disagreement from both sides of the aisle," Brown said. "But, regardless of where he stood, his colleagues always knew his style was deeply rooted in an unflinching commitment to our country." Dozens of McCain's Senate colleagues offered praise and condolences Saturday and Sunday. McCain was 81 when he died from brain cancer. He was a U.S. Navy pilot who was shot down during a mission in Vietnam and spent five years in a North Vietnamese prison, where he was tortured and beaten. Oregon's U.S. Sen. Ron Wyden tweeted Saturday: "A lion of the U.S. Senate, a patriot, a true American hero, a father, husband, son — rest in peace, Senator McCain, you've completed your last tour of duty." U.S. Sen. Jeff Merkley said in a statement that he was "deeply saddened" by McCain's death. "He led a courageous and remarkable life, made tremendous sacrifices, and carried a deep love for our nation. He was a true American hero, and it was an honor to serve with him in the Senate. My thoughts and prayers are with his family." U.S. Rep. Greg Walden, who represents Oregon's 2nd Congressional District, said Saturday in a Facebook post that "American lost a true icon today." "John McCain devoted his life to the service of others," Walden wrote. "From his bravery in Vietnam, to his dedication to the people of Arizona in the House and Senate, John McCain was a true hero who exemplified what it means to be a public servant. 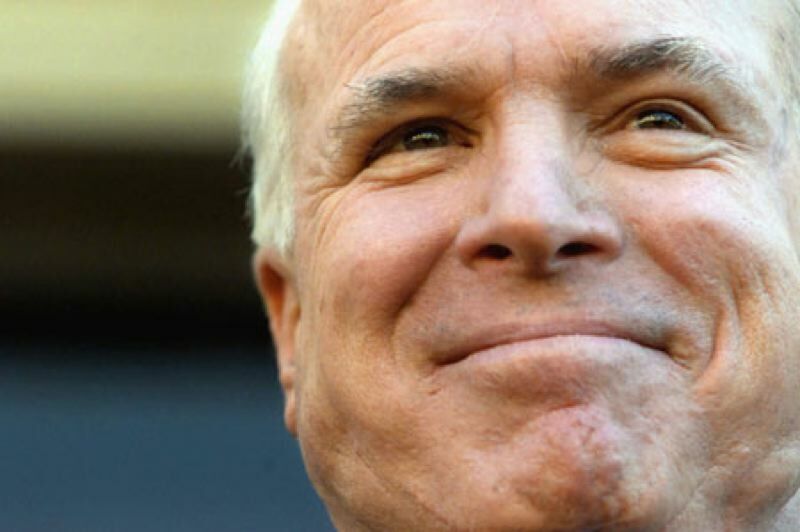 I join all Americans in mourning the passing of John McCain and thanking him for his tremendous service to our country."